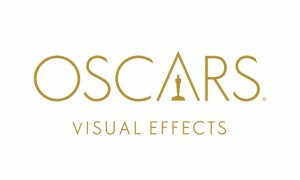 Most recently, The Academy of Motion Pictures announced the nominees for the Best VFX category and we are excited to say that almost every single VFX studio who worked on the nominated films uses both mocha Pro and Sapphire. A hearty congratulations goes out to to all the artists at Framestore, Illoura, ILM, Hybride, Luma Pictures, Method, Crafty Apes, Cinesite, Double Negative, Image Engine, MPC, Milk VFX, Rodeo VFX, Weta and Laika. No matter who wins, we are extremely proud to have you all as customers! While attending IBC in Amsterdam this year, it was very fun to make the announcement that Boris FX (parent company of Imagineer) acquired GenArts, developers of widely popular Sapphire plug-ins. While this news took many customers by surprise, the transition has been quite smooth and we have been enjoying working with new colleagues in our Boston office. What does this all mean? The combination of Boris, Imagineer & GenArts is bringing together some of the top minds in software development and design; all focused on editing, graphics and visual effects. We shared a brief merger FAQ in November and are looking forward to releasing major new features and versions of your favorite tools in 2017! As one of the original plug-in packages for Flame, Media Composer and After Effects, Sapphire has made an impact on literally thousands of films, commercials and TV shows for over 20 years. Also announced in September, Sapphire 10 was released with some very cool new filters and features. To accompany this release we have been cranking out tons of great new Sapphire tutorials videos with pro trainers, such as John Dickinson of Motionworks.net. Check out John’s video on Sapphire Builder which is an advanced node-graph style compositor built into the effect interface. If you have not looked closely at Sapphire in while, now is the time. For many years, mocha has been a well-loved tool in the VFX industry – used by After Effects, Flame and Nuke artists for rock solid planar tracking, deep roto tools and the amazing object removal module. In June of 2016, we launched mocha Pro 5 which is probably the most significant release in Imagineer’s 15 year history. With excellent help from the Boris FX team, mocha Pro has been made into a plug-in that will run inside almost every host application in editing and post (including Avid). Supporting editing systems like Avid Media Composer and Adobe Premiere has long been a popular request from our customers. Adding plug-in capabilities, plus new GPU accelerated tracking and OFX/Adobe improvements, has made v5 a huge hit. Check out Mary Poplin’s Top 10 Plug-in features video below and lots more mocha 5 videos here. Speaking of mocha, it would be crazy to think about 2016 without mention VR. The promise of “Virtual Reality” has been a buzz for years in post and tech, but the mass availability of VR headsets and viewing platforms pushed 360 video and VR over the edge this year. 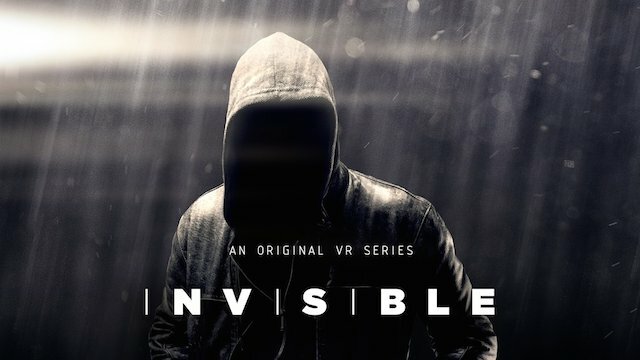 Our friends at The Molecule worked on Invisible, one of the first scripted, episodic 360 video series. Directed by Doug Limon and produced in collaboration with Jaunt and Samsung. Check out the article at CGSociety and watch here. 360 video is a challenging learning curve for the post industry and our goal is to help reduce some of the technical issues introduced in this new format. Our first 360 enabled product, mocha VR is now in beta and is planned to ship early in 2017. Here product manager, Martin Brennand shows how mocha VR’s new tools will help make 360 finishing and effects tasks much easier. If you are actively working in 360 and want to beta test mocha VR, please contact us. Well, that is about it for this quick wrap up. On the Boris front, the team is actively working on some very cool new features for Continuum. In the below video, we share our most recent Webinar Replay – a monthly series that brings high quality training, tips and techniques to the industry. 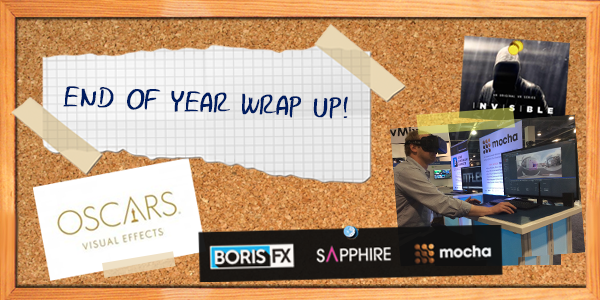 We could not leave you at the end of 2016 without restating the shared mission of the teams now working under the Boris FX umbrella: to develop best of breed, task specific effects tools and plug-ins that assist the post-production process. Or more succinct – Tools thats help editors and artists be more creative and hit their deadlines. Webinar Event: Finishing Techniques with BCC + Premiere Pro from Boris FX on Vimeo.